Review posted November 25, 2018. Perhaps it will make you more merciful, as you meditate on God's mercy. Perhaps it will enable you to realize that God is not angry with you. As I learned here that St. Augustine once said, "It is easier for God to hold back anger than mercy." 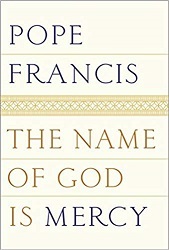 If you would find it helpful to think about God's mercy and forgiveness, I recommend this book.